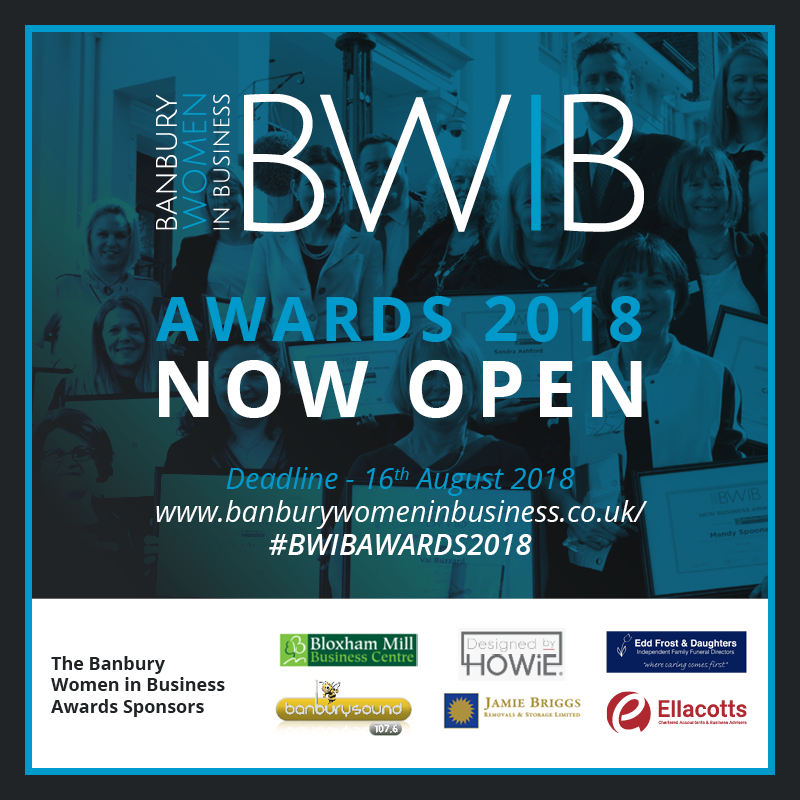 For more details of the awards and to nominate yourself or others please visit: https://www.banburywomeninbusiness.co.uk/awards/. The closing date for all applications has been extended to 27 August 2018 – don’t leave it to late, enter today. All winners will be announced at the celebratory awards ceremony, which will take place at Wroxton House Hotel on Tuesday 18 September from 9:30 – 14:30.